On Sunday afternoon the Mayo senior hurlers will be looking to claim the National Hurling League division 2B crown in Cavan. 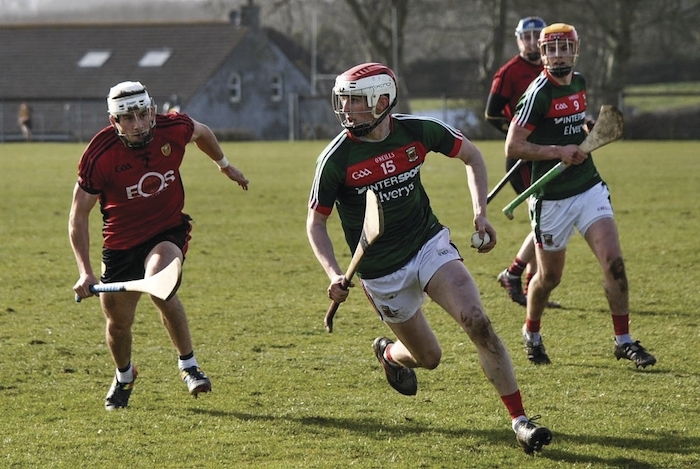 Having booked their place in the final with a round of games to go thanks to victories over Donegal, Derry, Armagh, and Wicklow, Mayo shuffled the deck for their round five meeting with Down last Sunday in Portaferry. The Mourne men ran out comfortable 3-19 to 0-14 winners to set up a rematch in the final this weekend, with not just the league title up for grabs, but promotion to division 2A also on the line. Mayo named just five of the side that had beaten Wicklow a fortnight previously, Daniel Huane, Conor Daly, Michael Morley, Brian Morley, and Shane Boland to start last Sunday's game, leaving Kenny Feeney, Cathal Freeman, Keith Higgins, and David Kenny on the bench, giving the likes of Corey Scahill, Conor Henry, John Cotter, and Conor Murray the chance to impress and stake a claim for a starting place. Down took advantage of the unfamiliar side that Mayo put out to win by 14 points, they led by 1-11 to 0-5 at the break. But they know that it will be a much different Mayo side they will face on Sunday in Cavan. One thing Mayo will have learned from last weekend's meeting between the sides is that Declan McManus and Paul Sheehan will pose a serious scoring threat for the Ulster men, with the pair combining for 11 points between them in Portaferry. McManus hit five from play, while Sheehan landed six points, four of them from frees. They also had three different goalscorers with Eoghan Sands, Daithi Sands, and Liam Savage all hitting the back of the net in the game. For Mayo, Shane Boland was their main marksman with seven points from frees, while Scahill chipped in with two for Derek Walsh's men. But with Brian Hunt, David Kenny, and Freeman to return to the the defence and Kenny Feeney, Keith Higgins, Sean Regan, and Sean Mulroy coming back into the attack, Walsh will be confident that he has the team to take Mayo into a higher league division and set them up for a good crack at the Christy Ring Cup later this summer.